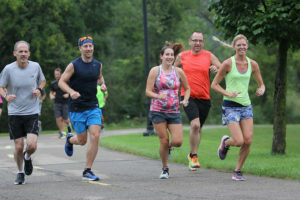 Gazelle Sports and Kalamazoo Area Runners (KAR) will help you train smarter and have more fun through the Priority Health Summer Safari Half and Full Marathon Training Program. Whether you are just starting to run, starting over, or are gearing up for a personal best half marathon or marathon, we will support you with targeted schedules, positive guidance, informative clinics, and fun weekly group training. The program includes individualized training schedules through the Lydiard Foundation. Registration and information for the 2018 Summer Safari program is available here!